I have owned the Grand Shelters ICEBOX igloo maker for a couple of years now. It is a really awesome and simple tool to use. 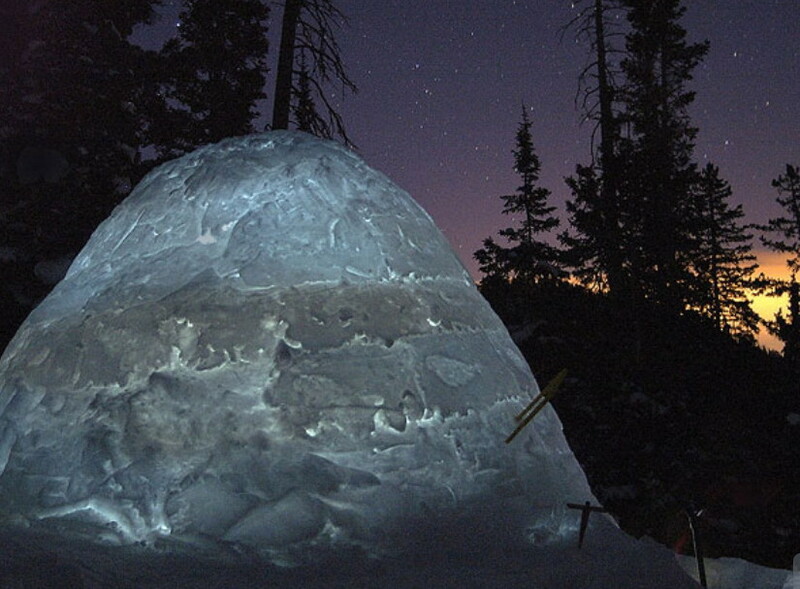 There are many advantages to this over just building a snow cave. It also has a few draw backs, but the pros outweigh the cons. Likes: It packs up into itself. This makes it great to use for backpacking. It is the perfect size to strap to your backpack or throw in the bottom of a sled. My favorite part about igloos over snow caves is the size. 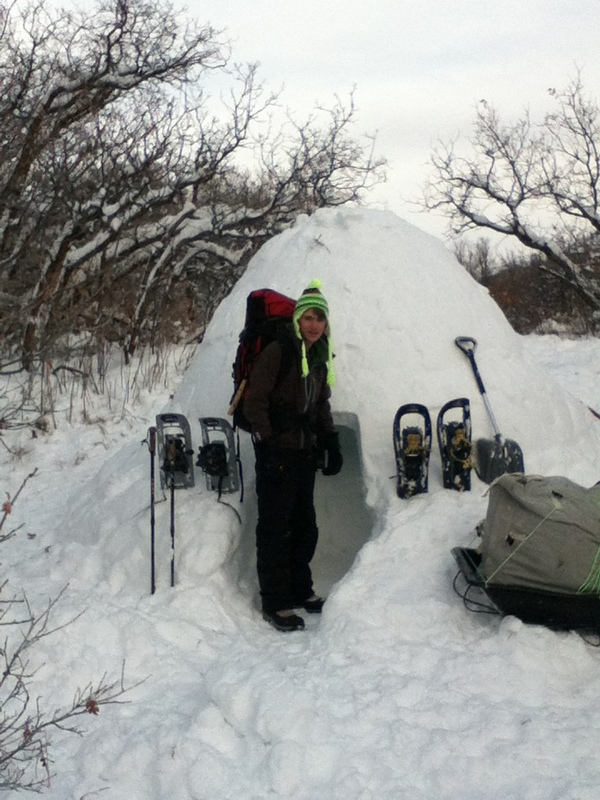 Using the igloo maker, it is about 5’6″ tall and depending on how you want to set it up, they can be anywhere from 7′ to 11′ wide. Dislikes: There are far fewer bad things about the ICEBOX than good. The worst problem I have encountered is that it is not very strong. It is made of light weight plastic, so when you are packing really powdery snow, it will wiggle around making it harder to do solid blocks. The only other thing I dislike is the price, but it is well worth it! 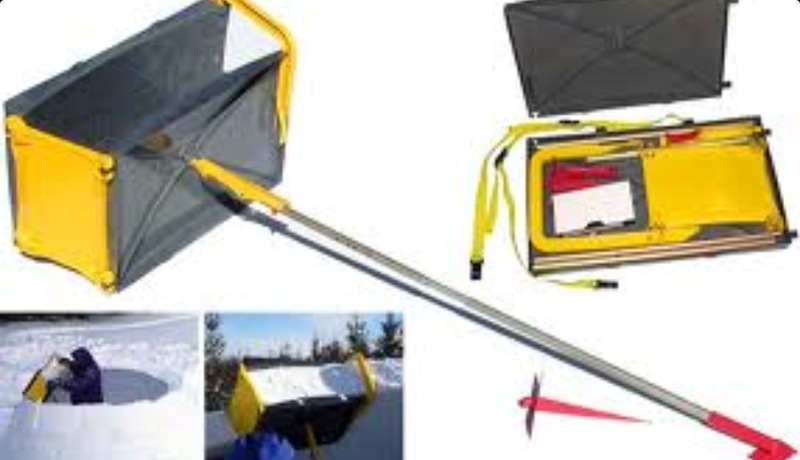 I have loved it and won’t go snow camping without it! 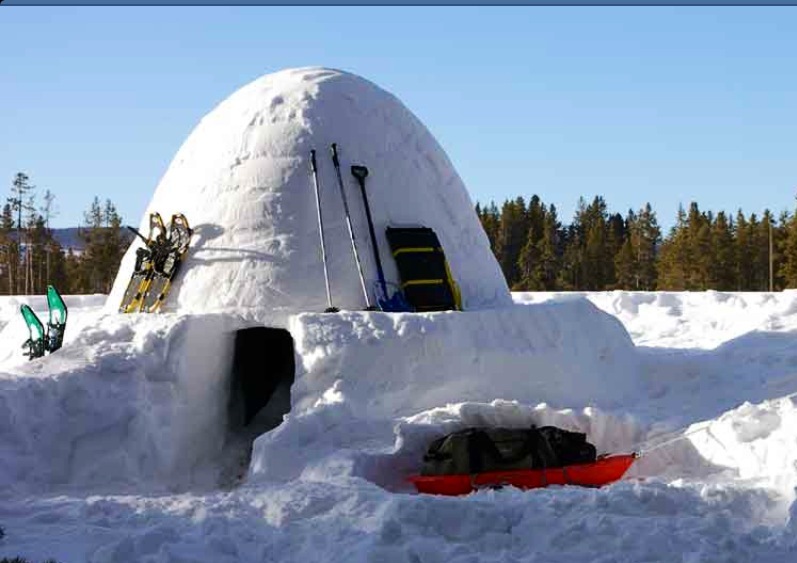 As far as time is concerned to build an igloo with the ICEBOX, a good average is around 2 to 2.5 hours, depending on the snow condition.